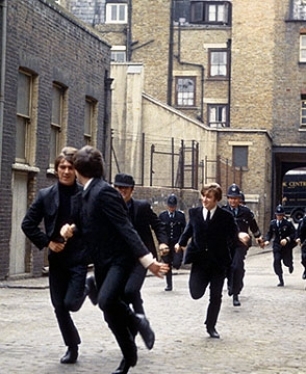 Home›Features›A Hard Day's Night - The Beatles' First Film Gets the Criterion Treatment! 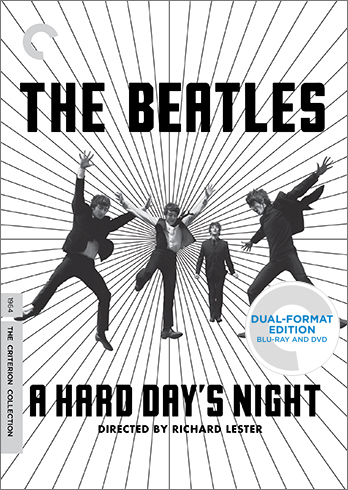 The Criterion Collection released A Hard Day’s Night on the Blu-ray Disc format in 2014. 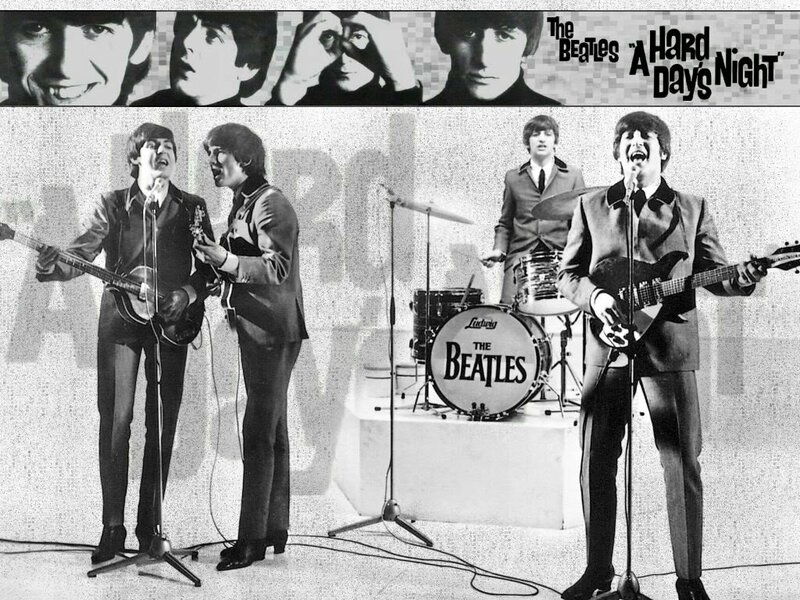 A Hard Day’s Night is directed by Richard Lester, and stars Paul McCartney, George Harrison, Ringo Starr, and John Lennon, with Wilfrid Brambell. The film was originally released theatrically in 1964. 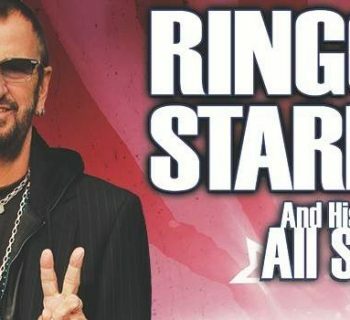 What more can be said about the Beatles that has not already been said? The Fab Four changed the world of pop music forever, and remain revered as some of the greatest musicians the world has ever known. It was not long before the band transcended all of the other “British Invasion” bands and became something totally different and unique. Even after the band’s disbandment in 1970, they remain one of the most popular pop-rock acts of all time. In addition to the band’s countless recordings, they also starred in a number of featured films. The first of these, A Hard Day’s Night, was released in 1964. 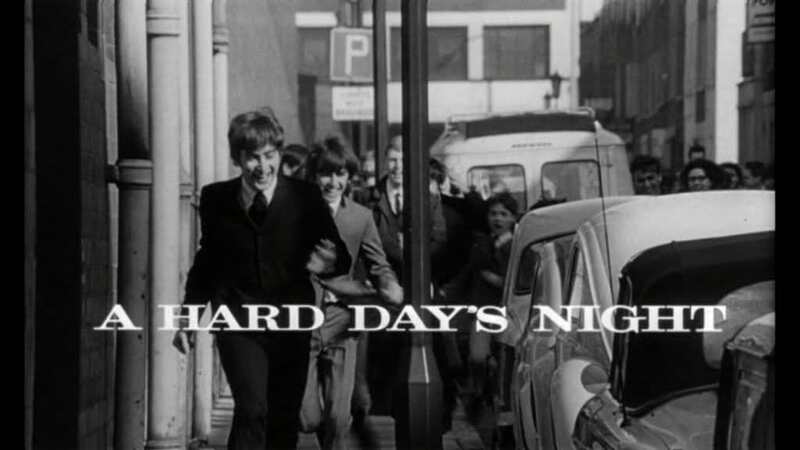 A Hard Day’s Night has relatively little in terms of plot, and tends to rely more on scene-by-scene humor. Basically, the band is on their way to a performance, but of course, nothing goes quite as planned. The band members run from screaming young fans on city streets, have to deal with trouble caused by Paul’s grandfather, and find themselves in all other kinds of unexpected escapades along the way. Rare color photo of shooting the movie- the being chased by cops scene. Screen shot of the opening credits chase scene. 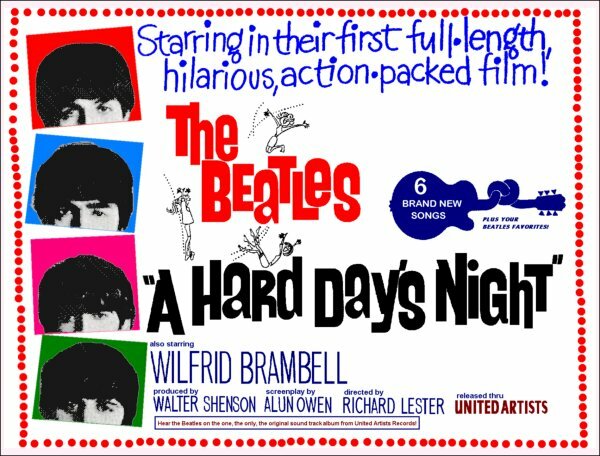 It can be argued that A Hard Day’s Night is a film that was put out to cash in on the rise of Beatlemania in the mid 1960s, and that is not unlikely at all, given that the movie was filmed on a low budget in black and white, and that some portions of the film are essentially glorified music videos. Whatever the case may be, though, this was the band’s first feature film, and was definitely a hit with the fans. While it is definitely dated in some respects, A Hard Day’s Night is still a film that is a lot of fun to revisit half a century after its initial release. Of the films the band released, this is one of the more memorable; it does not opt for bizarre, outlandish plot elements, and manages to maintain a lighthearted, comedic tone throughout. At approximately 90 minutes, the film is paced just right; no part of it tends to drag on longer than it needs to. Fans of the band are going to have a lot of fun watching this movie; it marks a major stepping stone for the band in several ways. There were other Beatles movies that followed, but most of them were over the top and lacked the comedic simplicity of A Hard Day’s Night. The movie has a spotty, complicated home video release history, but it is good to see that Criterion, a leader in the world of home video releases, has reacquired the rights to the Beatles’ first film. This marks the first release of the film on the Blu-ray Disc format in the United States; there had been a handful of prior Blu-ray disc releases of the movie in other countries to this point, most notable a (region free) Canadian release in 2009. Lobby poster from the movie's theatrical release in 1964. When Criterion gives a movie the home video treatment, you can rest assured that it is usually going to fare very well. 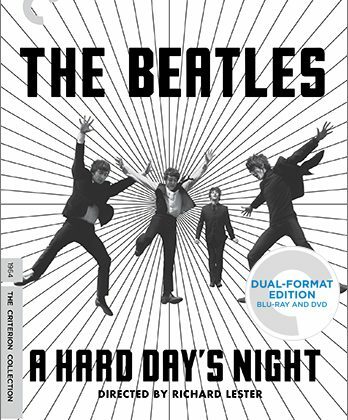 Fortunately, A Hard Day’s Night looks fantastic on Blu-ray Disc. The film has undergone a restoration, and there are virtually no blemishes to speak of in the picture. It has a natural, filmic look to it; it is clear no annoying enhancements, sharpening, or noise reduction have been applied here; whoever restored the film did it the right way. 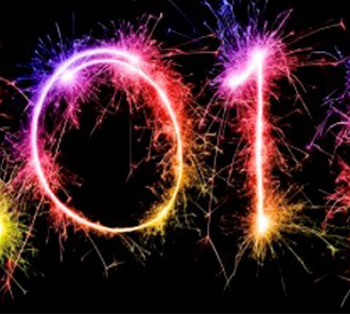 It looks fantastic throughout; no fan is going to be disappointed here. This puts the Canadian Blu-ray release from 2009 to shame. The audio track is solid as well. Dialogue is loud and clear, and the track shines through in the musical sequences as well. Once again, the audio has gotten the Criterion treatment and no fan will be disappointed. 50 years after it's original release the film still holds up and ranks as a classic for all rock and roll movie lovers. Likewise, Criterion did not skimp on the bonus features either. Features include (but are not limited to) interviews with cast and crew of the film, trailers, documentaries, and the like. 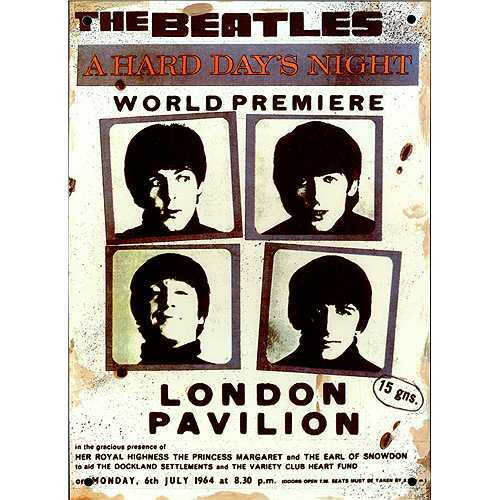 There have been prior home video releases of A Hard Day’s Night, and while I cannot confirm that every single feature from previous home video releases has been ported over here, what is here is more than satisfying, and will make for some interesting viewing material for the fans. An informative booklet and a DVD copy of the film are also included. Once again, Criterion shows why they are the leading company when it comes to releasing classic films on home video. 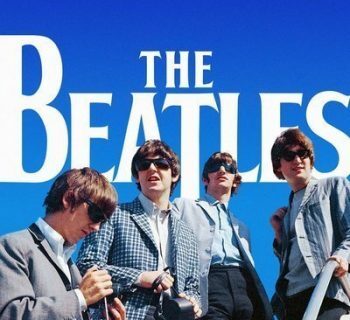 The Beatles’ first motion picture outing gets the royal treatment. 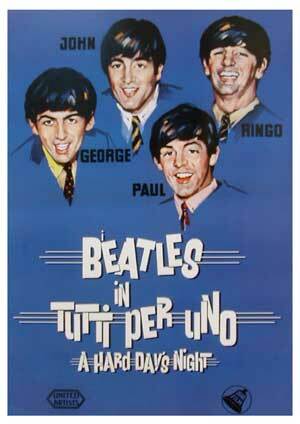 The film, while clearly dated in places, is still a ton of fun to watch for Fab Four fans. Audio and video are top notch, and the bonus features are the perfect supplement to an already solid package. No Beatles fan should their first film, and this is the best it has ever looked or sounded. 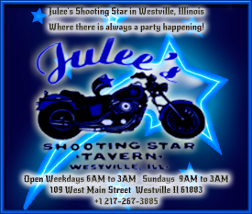 Absolute highest recommendation! Jim Breuer - Funny Man Gets Hard and Heavy with Songs from the Garage!